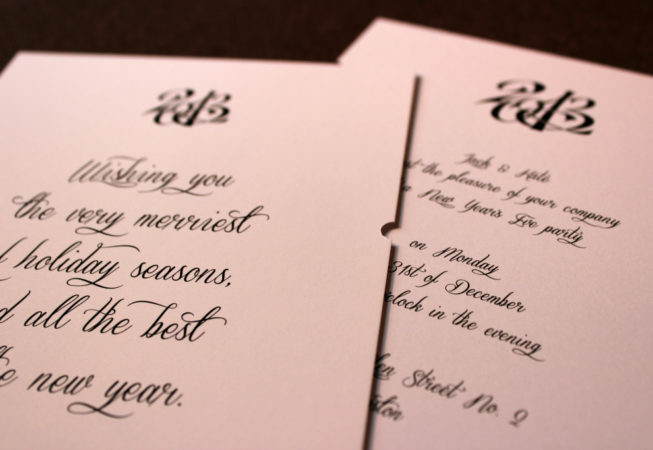 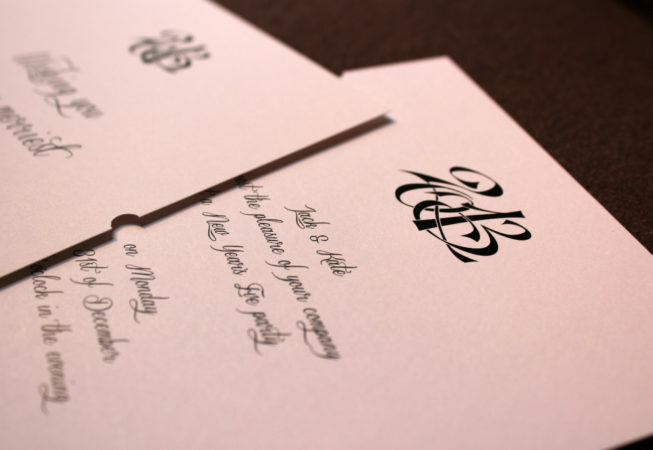 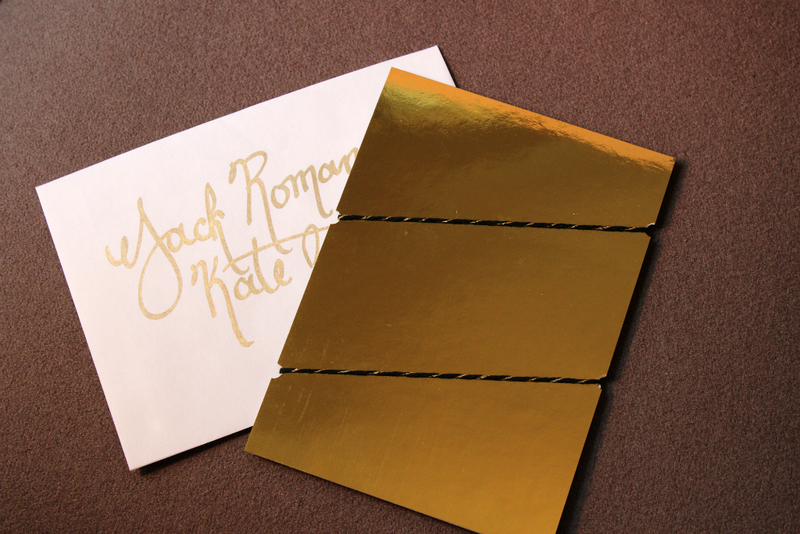 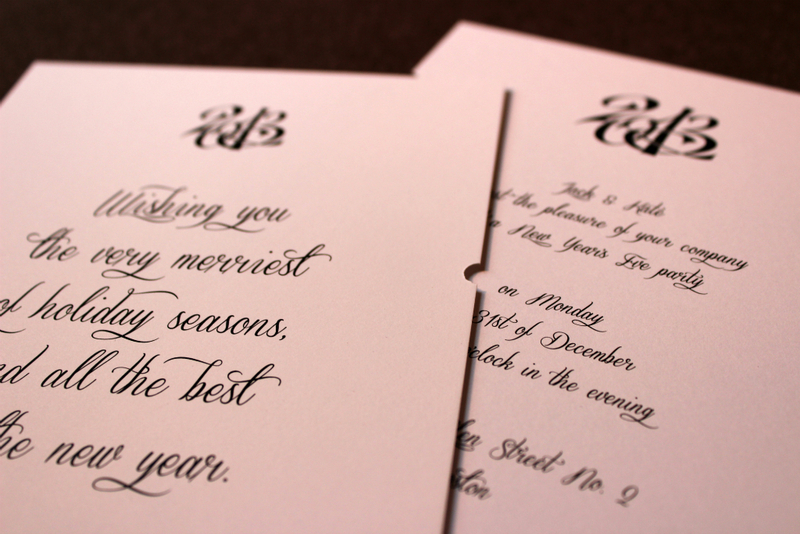 To keep things simple at the holidays, we designed a card that could accommodate one of two similar but slightly varied inserts: one included a holiday greeting, and the other a formal invitation to a New Years party. 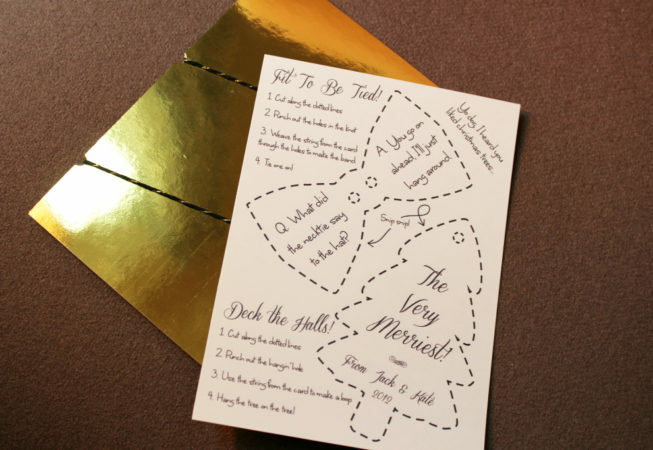 The black and gold coloring was a nod to years past, and we used a heavy gloss gold cardstock for the back (third) layer, featuring snip-able ornaments and bow ties on the white interior side. 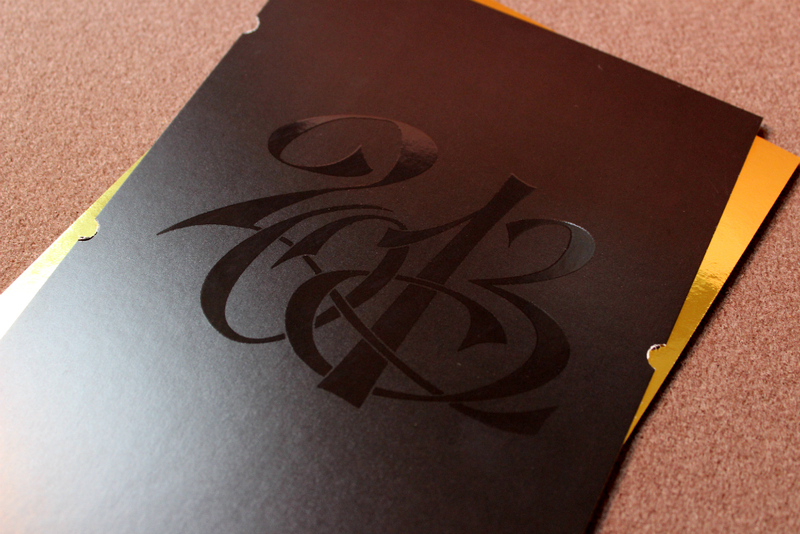 The cover was a matte black stock with a gloss print of our custom 2013 monogram. 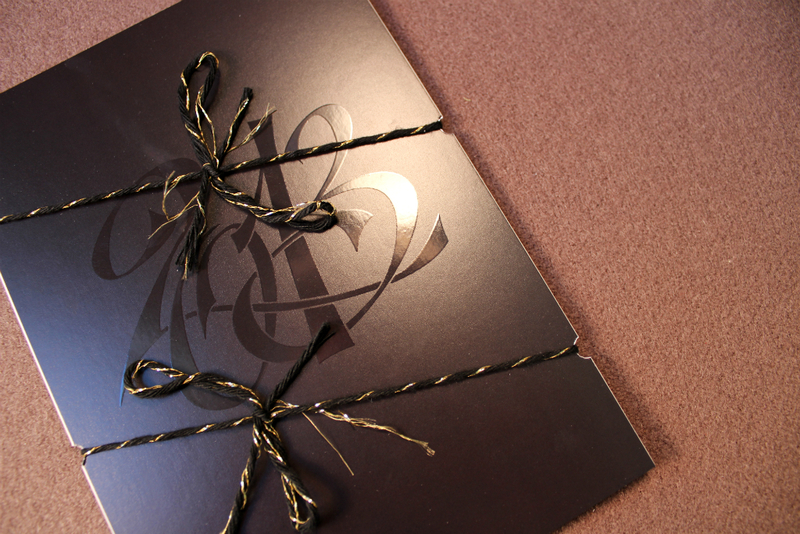 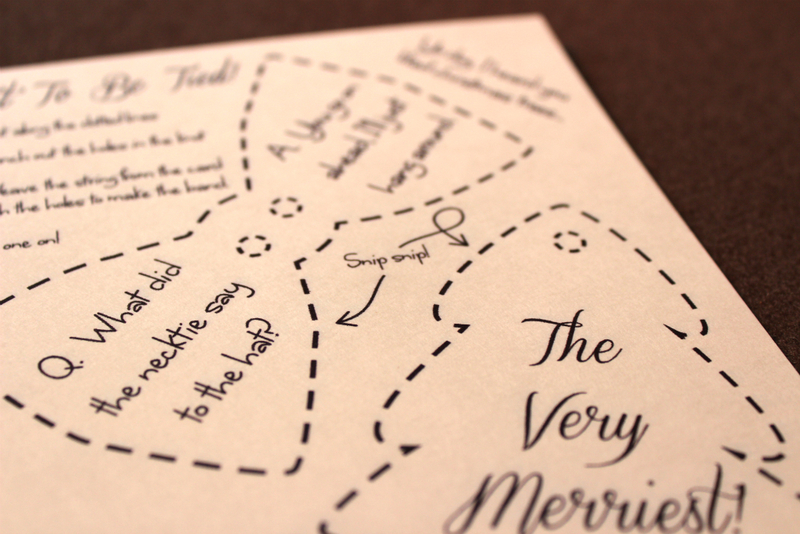 The piece was punched on the sides and tied together with black and gold bakers’ twine. 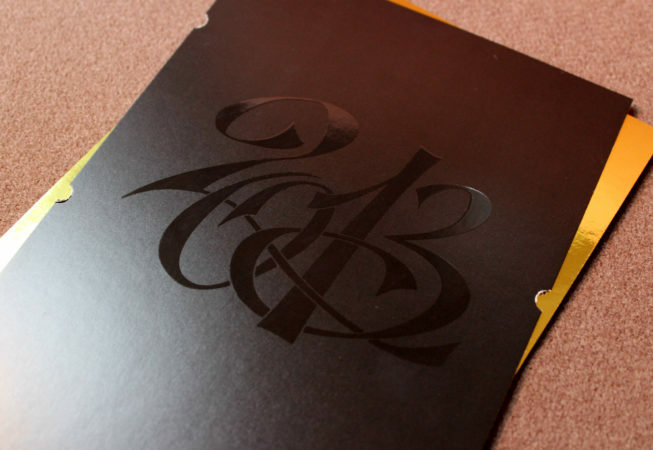 For more photos and details of the design and assembly process, stop by the blog post here.